Ahmed al-Katib (this is the nom de plume under which he publishes his writings, his real name is Abdilrasool ‘Abd al-Zahraa ‘Abd al-Ameer Hajj Habeeb Lari], he is of Iranian origin) was born in Karbala. He received a traditional Shi’ite Islamic education at the renowned Hawza or ‘seminary’ of Najaf, i.e. according to Shia Hawza traditions he can wear the clergy Shia cloth, yet he never used to wear it. During the 1980s, al-Katib lived in Iran, where he not only founded and directed an Arabic-language radio station opposing and challenging Saddam Hussein’s regime during the dragged-out Iraq-Iran war (1980-1988), but also continued his studies into the Shi’a Islamic heritage. Based on his research in Tehran and at the Hawza’s in Qom and Mashhad, he articulated a very critical rereading of received knowledge in the Shi’a tradition, questioning the core of its doctrinal positions. Al-Katib’s critique hinges on his skepticism regarding the veracity of the notion of the so-called ‘Hidden Imam’. The accepted view among Shi’a Muslims is that the last of the twelve Imams recognised by the Imami or Twelver Shi’ites, who is assumed to have been born in 869/9CE, did not die but went into ‘Occultation’. However, on the basis of his own examination of available sources on the history of the Imams, al-Katib comes to the very radical conclusion that there is no hard evidence of the birth of this alleged Last Imam (a view shared by Sunnis and ALL other Shia sects that have ever existed so far), Muhammad ibn al-Hasan, also known as the Al-Mahdi. According to al-Katib, by casting doubt on the very existence of this Last Imam, the entire Shi’ite theory of the Imamate is underminded. This also affects the claims made by successive generations of Shi’a clerics to being the guardians or custodians of this legitimate authority, otherwise known as Wilayat al-Faqih (Arabic) or Velayat-e Faqih (Persian). 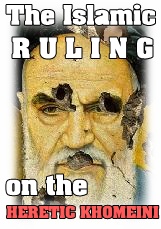 Because the Supreme Leaders of the Islamic Republic of Iran, Ayatollah Khomeini and his successor Ayatollah Khamenei, lay claim to this guardianship, al-Katib’s position in Iran became untenable and in 1990 he left Iran. According to Sunni traditions the likes of Ahmad Al-Katib would be referred as Tafdhili Shias, a term referring to the early Shias who according to Islamic (Sunni) traditions are not considered to be heretics (unlike the later Shiites, such as the Twelvers today), this is because their main trait was favouring Ali Ibn Abi Talib over all other companions (or as some scholars say, favouring Ali only over Othman and NOT Abu Bakr and Omar), yet they did not believe in many later innovated Shiite extremist concepts such as ‘Isma’ (infallibility), Raj’ah (the return of the Imams BEFORE Judgement day) or the core belief of later Shias named ‘Imamah/Wilayah’ i.e. the believe in divine appointment of Imams of the Imams of Ahl Al-Bayt.In fact many early Shias ar known for their deep respect and love for Abu Bakr and Omar (many favoured them even over Ali), a trait you will barely find amongst later Shiites, let alone the Twelver Imamite sect. According to Sunni traditions the early (classical) Shias (whom Sunnis narrated from in their books) did not believe in any of the heresies that the later Shiites believe and introduced as essential parts of their various sects under the pretext of Tashayyu’ (support of Ahl Al-Bayt i.e. Shiism). 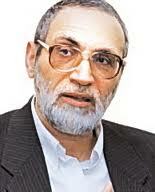 Ahmad Al-Katib alike, does not believe in the divine appointment of the Imams and many other heretical Shiite beliefs. Of course according to Twelver Shiism this is makes him a non-Shia by default, as for Sunnism, his likes (just as the early Shiites) are nevertheless considerd Shiites (due to their Tafdhil, which literally means preference i.e. they preferred Ali over all other companions), although without a shred of doubt they are considered as the closest Shiites to the Ahl Al-Sunnah (Sunnis), similar to the Zaydis of Yemen. Most of Ahmed al-Katib’s publications are only available in Arabic and Persian, but an English translation of The Development of Shiite Political Thought is accessible online and he has summarized his findings in a ‘new Shiite Manifesto’. Here some English material from him on his official website: www.alkatib.net (if the link above doesn’t work, you can try THIS LINK HERE). Salam, please don’t call shiaism “shiite-islamic”. Islam is too pure to be lumped together with shiaism.